Mary Harrington Taylor (16? ?-1733) – The daughter of Richard and Elizabeth Harrington, Mary would grow up to marry Seabred Taylor November 21, 1671, and the couple would have seven children. She was accused of afflicting Mary Marshall of Malden, Massachusetts and was examined on September 5, 1692. She was friends with Lydia and Sarah Dustin, who had already been arrested and were in prison, which more than likely led to her accusation. Mary Marshall would say that Mary Taylor had hurt her by witchcraft at tried to persuade her to worship the Devil. Also testifying against her was Mary Foster Lacey, Sr. During the examination, several girls in the room would fall down if Mary looked at them, including Hannah Post, Susan Post, Mary Warren, and others. Mary Taylor was also accused of having a hand in the death of William Hooper, who had died in a house fire. Mary Taylor was indicted for witchcraft on January 31, 1692. However, she was later released. 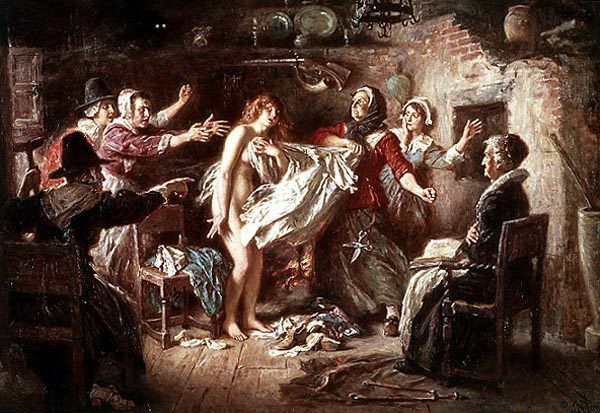 Margaret Webb Sheaf Thacher (1625-1694) – Proving that no one was immune from witchcraft accusations, the mother-in-law of Magistrate Jonathan Corwin was also accused of witchery. Margaret was born in Boston in 1625 to Henry and Dorabell Smith Webb. She grew up to marry Jacob Sheaf in September 1642. The couple would have two children. Jacob died in Boston on March 22, 1658. Margaret’s father and her husband, Jacob Sheafe, had business interests in Maine and New Hampshire, and Margaret Thacher retained control of some of their property. She also held extensive holdings in Boston, including her home and acreage which was next to Governor William Phips’ house. Several years after her first husband’s death, she married the Reverend Thomas Thacher. From 1669 to his death in 1678, Thacher served as the founding minister of the Old South Church. Working for Margaret in 1692, was a woman named Mercy Short. When the maidservant began to come down with fits and other strange behavior, she accused her mistress of afflicting her with witchcraft. Margaret Thacher, known as a woman of great piety, was never charged, but, Mercy Short would spend some time behind bars after confessing to witchcraft herself. Margaret’s daughter Elizabeth was married to Magistrate Jonathan Corwin. Margaret Thacher died in Boston on February 23, 1694. Tituba (1665?-??) – The first person to be accused of practicing witchcraft during the Salem witch trials, Tituba was a slave who belonged to the Reverend Samuel Parris. While living in Barbados in the 1670’s, Parris had purchased Tituba along with another slave named John Indian. Tituba was originally from an Arawak village in South America, where she was captured as a child, and taken to Barbados to into slavery. She is thought to have been between 12 and 17 years-old when Parris purchased her. When Parris moved to Boston in 1680, the two slaves accompanied him. Parris soon married Elizabeth Eldridge and the couple would have three children. The family moved to Salem Village in July 1689, where Samuel Parris became the minister. That same year, Tituba and John Indian were married and remained a part of the Parris household. The slaves were thought to have had only one child, which they named Violet. When Elizabeth Parris and Abigail Williams began to show their odd “afflictions,” Tituba was the first person they accused of witchcraft. Unfortunately, she had made herself a likely target for witchcraft accusations when shortly after Elizabeth “Betty” Parris, began having strange fits and symptoms, she participated in the preparation of a “witch cake” that would reveal the identity of Betty’s afflicter. Reverend Samuel Parris was enraged when he found out about the cake, and shortly thereafter, the “afflicted girls” named Tituba as a witch. Tituba first denied that she had anything to do with witchcraft, but, was soon coerced into confessing to having spoken with the Devil, as well as other wild tales about black dogs, a yellow bird, red and black rats, and other animals, as well as her riding sticks to various places. 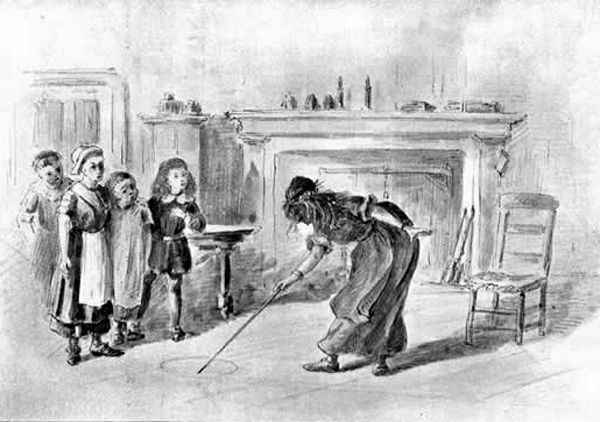 She was also the first person to confess to witchcraft in Salem Village and also accused other women, including Sarah Solart Poole Good and Sarah Warren Prince Osborne, who the children had also named as witches, as her accomplices. She even went on to say that Sarah Osborne possessed a creature with the head of a woman, two legs, and wings. Rumors were rampant that Tituba had enthralled the local teenage girls with her stories of African or Caribbean voodoo and magic spells, and it was she that had taught Elizabeth Parris and Abigail Williams the forbidden practice of fortune telling. However, nowhere in the court records has it been confirmed that this was true. In fact, the fortune telling technique that the girls’ used, was nothing more than an egg white in a glass of water, a commonly known device in New England at the time. She also said she was beaten by her owner, the Reverend Samuel Parris, and was told to confess to witchcraft. Interestingly, what she confessed to was all culturally European, not African or Caribbean. Despite the fact that she confessed to a capital offense and was a slave, Tituba was never tried or executed for her role in the witchcraft trials. By confessing early on, Tituba avoided the ordeal of going to trial, joining with the “afflicted girls” in providing key evidence against accused witches. When public sentiment towards the accusers and the trials began to change, Tituba recanted her confession, which enraged Reverend Samuel Parris. In retaliation, he refused to pay the jailer’s fee to get her out a prison and she spent thirteen months in jail until an unknown person paid the seven pounds for her release and bought her. It is likely that the same person bought her husband, John because Puritans were not inclined to split up married couples, even slaves. It is unknown what happened to her after she began her life with her new owner. Job Tookey (1665-??) – A laborer in Beverly, Massachusetts, Tookey was accused by Mary Warren, Susanna Sheldon, Ann Putnam, Jr., Sarah Bibber, Mary Walcott, Elizabeth Hubbard and Elizabeth Booth on June 4, 1692. All of the “afflicted girls” would say that he had tormented them. Mary Warren would also say that Tookey was the cause of several deaths, utilizing poppets which he stabbed in the heart. Mary Walcott and Elizabeth Booth would echo these charges by stating that they had seen the apparitions of dead people crying out for vengeance. Job Tookey must also have been a somewhat boastful man, as several people would testify as to things he had said, such as how he could freely discourse the Devil, that he would take the Reverend George Burroughs apart, and that he was not the Devil’s servant, but that the Devil was his. In the end, he was indicted in September and sent to prison. However, for whatever reasons, he was not immediately tried. In January 1693, he was tried and found not guilty. He was ordered discharged after paying his fees.